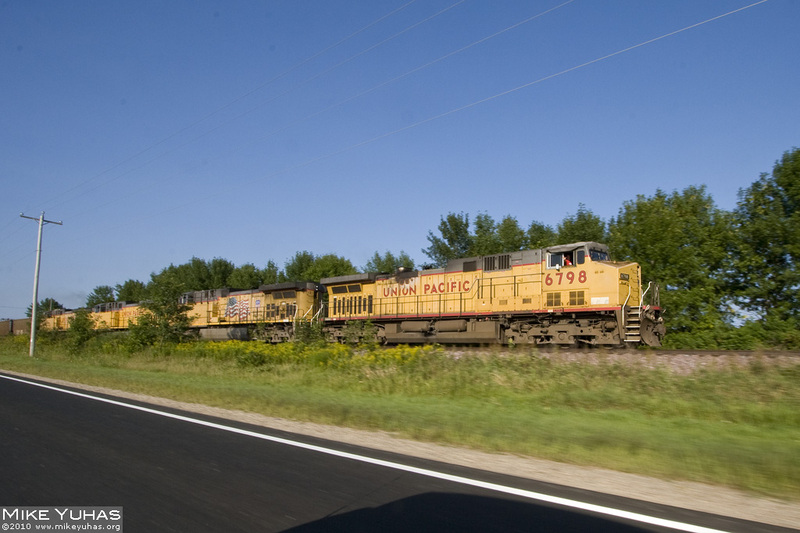 An unusual four units grace the head end of an empty Union Pacific hopper train southbound from Sheboygan. Ordinarily, two units would be on the head end and another on the rear in DPU mode. Today, however, all three units are on the head end, plus a bad-order unit that had been sitting in Sheboygan is also along for the ride.